Structural Design Packaging | Goldrich Printpak Inc.
We approach each new structural design as a unique challenge, calling on the expertise of our Art Director, Marketing Director, Structural CAD Designers and others to find the perfect solution to packaging your product. Our in-house pre-press team can provide you with structural samples, die lines, creative graphics and artwork to help you visualize design concepts. 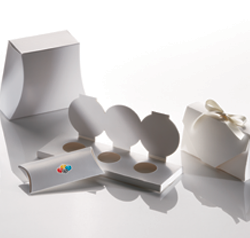 If prototyping is required, we can create a folding carton, blister package, skin package, point-ofpurchase display or thermoformed plastic package at a reasonable cost. We specialize in designing and manufacturing blisters, vacuum-formed trays, clamshells, patterns and food molds. Our CAD/CAM structural design work is produced by creative professionals familiar with all structural materials and experienced with the latest design software. From simple rectangles to the most original shapes, structures and assemblies, we have the complement of staff, software and equipment to tackle the toughest projects.